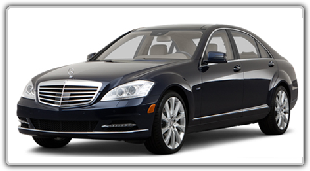 Late Model Luxury Town Car Sedans are an unmatched alternative to conventional taxi services. Outstanding comfort, plush leather interiors, tinted windows, cellular p hones and a smooth ride all combine to create a driving experience that is truly first class. Mercedes S550 Up to 4 Passenger, For an unparalleled blend of performance and luxury, the Mercedes-Benz S550 is the perfect choice for airport transfer. 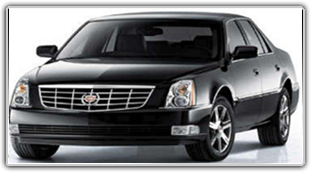 DTS Cadillac Sedan Up to 4 Passenger, For an unparalleled blend of performance and luxury, the DTS Cadillac is the perfect choice for airport & Corporation Service transfer. The Cadillac ESC SUV is equipped with a work station, three DVD players, air conditioning and sound control. It seats five passengers and lager storage for luggage. Travel as a group or family with this spacious and comfortable SUV. Elegance in Motion. With numerous amenities, Luxury SUV is a great choice for discreet and comfortable travel. 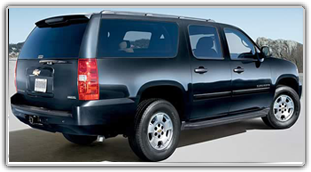 Perfect for airport transportation, this Chevrolet Suburban SUV comfortably seat up to six passengers with plenty of luggage space. Reserve this Luxury SUV . It’s now available for rent. 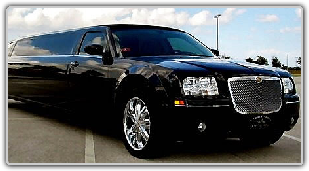 This Chrysler 300C limousine is the ultimate in luxury and convenience. 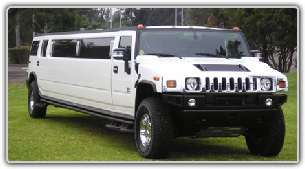 This limo comfortable seat about 8 passengers but it will fit 10 maximum. Car comes with Disco floor, ceiling and partition, fire tourch, iPod Connection, strobelight, etc. 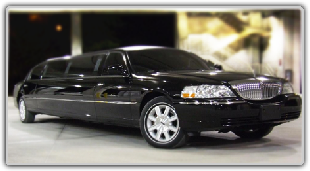 Every package comes stock with refreshments like water, sodas..
Our custom stretch limousine is the way to travel in style or to celebrate a special occasion. We feature any amenities like stocked bar, mood lighting, TV and DVD Player, premium stereo and sound system with CD player. 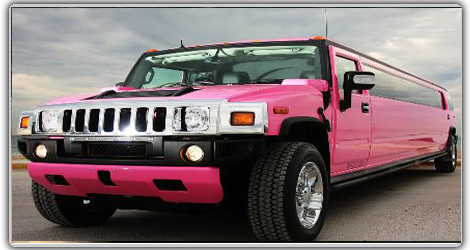 Hummer H2 Limousine is a very recognizable vehicle that brings attention of everyone no matter the age. 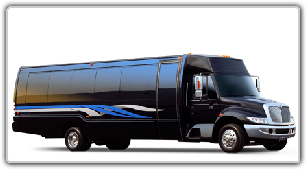 If you need to attend a Prom night, a Bachelor party, Bachelorette party, or simply just having a night out on the town and you need to do it in style then look no further. 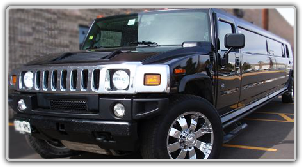 Hummer H2 Limousine up to 24 passenger is a very recognizable vehicle that brings attention of everyone no matter the age. 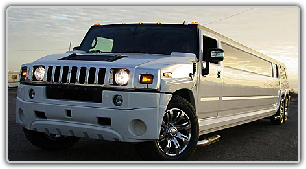 If you need to attend a Prom night, a Bachelor party, Bachelorette party, or simply just having a night out on the town and you need to do it in style then look no further. 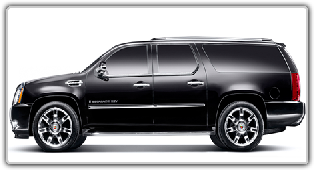 For any truly special occasion, an Escalade Limo is one of the fine choices for transportation to get you there in style. Whether you need a limo for you wedding day or you’re celebrating your anniversary with your closest friends, we can make your ride extra special in our Escalade Limo. 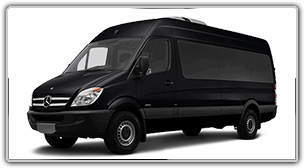 We offer one of the most affordable rates in Houston for our 11 seats Mercedes Benz Sprinter Van and Sprinter limo in Houston Tx with chauffeur services. 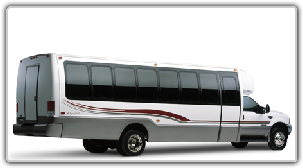 Very large groups transportation usually chooses our shuttle busses and coach busses. 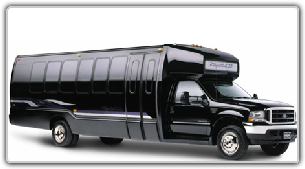 Shuttle Bus limos – Comfortably seating up to 32 passengers shuttle busses are the preferred vehicles for large group transportation. 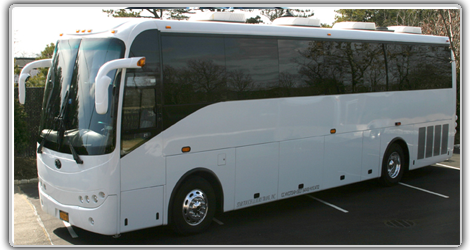 Ace Party Bus Charter Bus Up to 55 Passenger For Very large groups transportation. Larg Group Airport Transfer, Familly Group for wedding, sport and city tour servide. 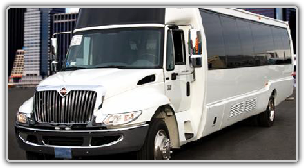 For business and leisure travelers, Ace Party Bus. 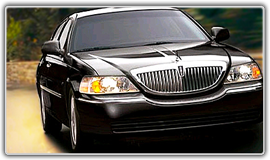 provides the most reliable transportation service to and from all major airports in the nation and around the world. Our chauffeurs are familiar with the airport sites. We use state-of-the-art technology to monitor all arrivals and gate information and communicate any travel changes to our chauffeurs. Whether you are traveling alone or in a group, Ace Party Bus provides you with vehicles that fit your needs and provide the service you can rely on. Ace Party Bus handle all the transportation for your special birthday celebration. Private birthday party limousine service is the perfect present, or just the perfect way to handle the transportation as you celebrate. 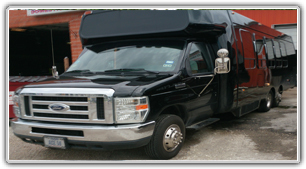 Ace Party Bus can take you wherever you want to go in the Greater Houston Metropolitan Area on your birthday. Whether you’re planning a surprise birthday party, a birthday lunch, or a birthday dinner to remember, Ace Party Bus can makes your next birthday event an unforgettable one! Ace Party Bus services for bachelors and bachelorettes can take your party to the restaurant, bar, club, or just travel with you from place to place around the city as late as you want to go! 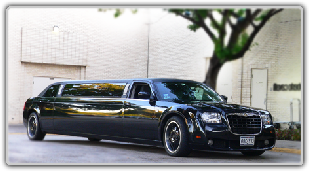 Let a highly professional, discreet and accomodating limousine driver take your bachelor or bachelorette party around Houston or any other Bay Area city, making your wild night safe, fun and memorable. The best values in corporate and group transportation. Period. 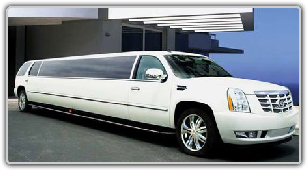 Welcome to the largest and most respected source for dependable, economical limo transportation. Whether you’re looking for group transportation to dinners, conventions or the airport, you’ve come to the right place. A few clicks and you’ll receive instant price quotes, detailed vehicle information and customer reviews. Always make sure you are checking prices apples-to-apples between limo services. Each limousine company will generally have their own unique pricing policies. Most companies offer point-to-point or as-directed services priced by the hour. Out Service keeps you on-time for your Broadway show, concert, sporting event or restaurant reservations, and our chauffeur will be ready and waiting before you step outside. 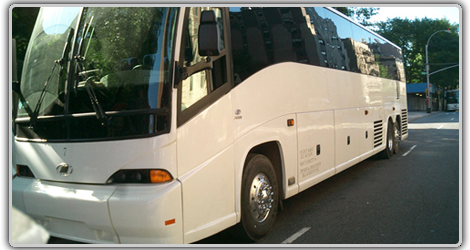 ACE Party Bus offers you a fully loaded limousine with a professional chauffeur for 11 hours. You, your closest friends and six hours at the Casino equals one night to remember! We serve all the Casinos in Louisiana. ACE Party Bus offers great discounts and packages. The best way to see Houston or other destinations is from the window of a luxury sedan or stretch limo from Ace Party Bus. Whatever your sightseeing needs, our chauffeured limo service can arrange the perfect sightseeing tour in Houston or day trip to another destination. 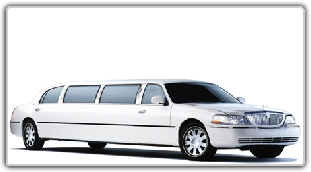 We have a limousine service to fit every need. whether you are planning a special night out on the town, will be attending a sporting event, require limo service for the prom or just want a cool designated ride for a night out at the clubs, we offer services tailored to your specific needs. Sporting Events are a special treat for individuals, couples, groups and families. But the fun can fade fast when you have to handle traffic and parking. Celebrate your Valentine’s Day in style, take your loved one for dinner somewhere special with our chauffeur services. Every Quinceanera is special, to be cherished in memories for a lifetime, and on this special day an Ace Party Bus will make it perfect. Our stretch Quinceanera limousines are fully equipped with laser lights, music system, TV screens and a non-alcoholic bar, and that’s one of the many reasons to use Ace Party Bus Quinceanera Limo Service of Houston Texas. Congratulations, It’s your anniversary! Remind your beloved of the time you first fell in love by treating her with Ace Party Bus Limousine exclusive transportation services. You are here: Home » Posts tagged "houstonairporttransfer"
© 2012 Copyright by Ace Party Bus. All rights reserved.